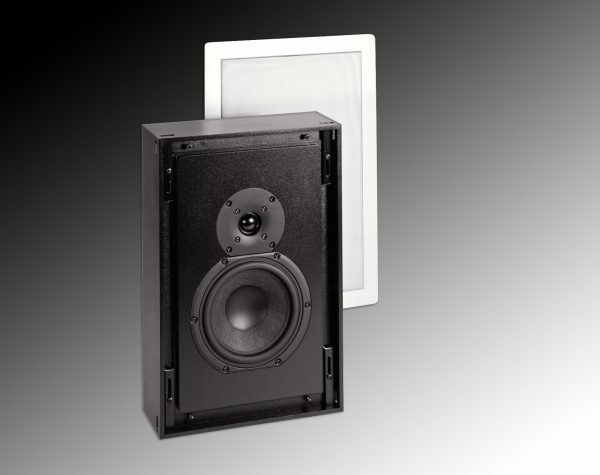 The InWall Silver/4 Sat is the perfect choice for distributed audio where you want exceptional sound, or as a primary listening speaker in a moderately sized room. It features a small footprint, stunning accuracy, and the handsome Acoustiperf grill can be custom paint matched at Triad to match your decor, at a modest additional charge. The InWall Silver/4 Sat uses an improved tweeter; a 1″ soft dome. A new 6.5″ woofer was designed to provide extended bass response for rich fullness at background listening levels. 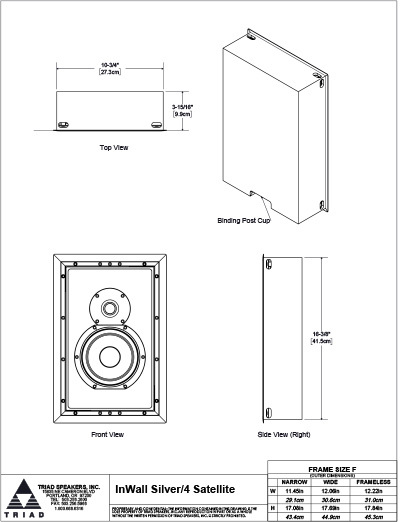 A fully engineered and braced enclosure yields uniform results in all applications, and without the annoying bleeding into adjacent rooms that you get from all open back inwall speakers. For a reasonable price, the InWall Silver/4 Satellite is an exceptional performer and a solid value.